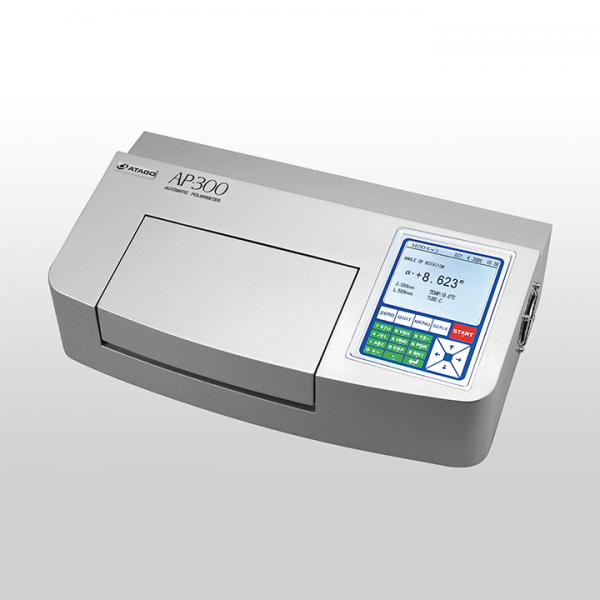 AP-300 fully automatic polarimeter measures a sample easily by setting the observation tube (filled with a liquid sample) in the sample chamber and pressing START. AP-300 is generally used in pharmaceutical, perfume, cosmetic, industrial, chemical and food factories. The polarimeter is useful for measuring the angle of rotation. In addition, the built in international sugar scale is widely used in sugar factories. Related links to "ATAGO AP-300"